As a historian of the Modern Middle East and North Africa, at Rhodes I teach a wide array of topics. My courses range from the introductory surveys of The Making of the Modern Middle East and Re-Making of the Twentieth-Century Middle East to special topics courses such as Colonial Encounters in North Africa and The Algerian Revolution. In my classes, I encourage students to critically examine material for the presuppositions, theory, political viewpoint, values and personal prejudices that affected and informed it. I strongly believe that a real long-lasting reward is to be found in such an approach to studying. I also hope that a greater understanding of the history of the Middle East and Islam will enable students to make better sense of what is going on in the Middle East today. My research agenda derives from a critical concern in Islamic Studies: What is the meaning of Islamic modernity? What is the concrete historical content of the changes that occurred during the modern period in the Muslim world? What is the relationship between tradition and modernity? How do Muslims view modernity? Specifically, my investigation focuses on the ideologies of Islamic revival and reform in nineteenth and twentieth centuries Morocco. 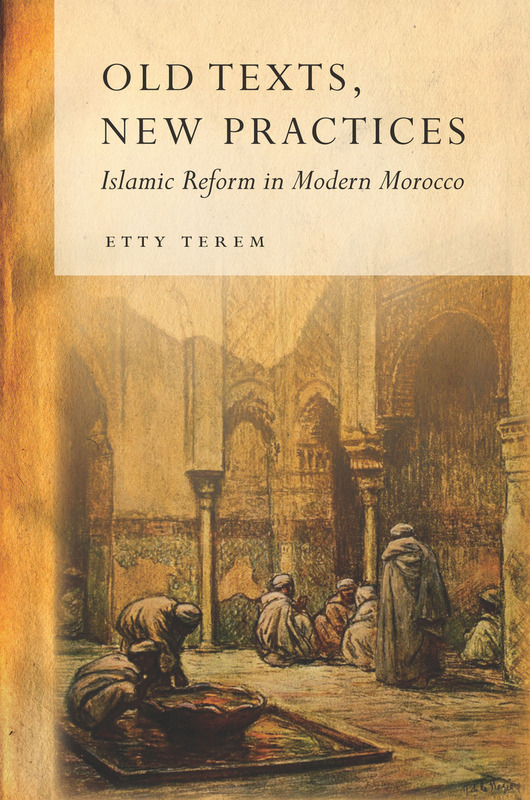 My first book, Old Texts, New Practices: Islamic Reform in Modern Morocco inquires into the composition, function, and meaning of Islamic tradition, and by extension into the larger question of the relationship between tradition and historical change. The book focuses on a project of Islamic reform initiated by al-Mahdi al-Wazzani (1849-1923), a prominent nineteenth century Moroccan religious scholar. Expanding my research into the colonial period, my next book will be an intellectual biography of a twentieth century Moroccan reformist scholar, Muhammad al-Hajwi (1874-1956). I enjoy traveling the world. Naturally, I have traveled extensively in the Middle East, trekking in Jordan and Morocco, spending summer breaks in Cairo and Istanbul and diving in Sinai. I enjoy camping, hiking, and working out. ed. with James McDougall, Towards a Local History of Maghribi Modernity a special issue of the Journal of the Economic and Social History of the Orient 60:1 (2017). “Navigating Modernity: Lessons in Government and Statecraft in Precolonial Morocco,” Mediterranean Studies 25:1 (2017), 76-97. “Consuming Anxieties: Mobility of Commodities across Religious Boundaries in Nineteenth-Century Morocco,” Journal of the Economic and Social History of the Orient 60:1 (2017), 115-41. “Redefining Islamic Tradition: Legal Interpretation as a Medium for Innovation in the Making of Modern Morocco.” Islamic Law and Society 20:4 (2013), 404-454. Henri Lauzière. The Making of Salafism: Islamic Reform in the Twentieth Century (New York: Columbia University Press, 2016), American Historical Review (forthcoming). Ellen J. Amster, Medicine and the Saints: Science, Islam, and the Colonial Encounter in Morocco, 1877-1956 (Austin: University of Texas, 2013), Journal Interdisciplinary History, 45:3 (2015), 453-4.